The medicinal uses of Pearl have been recognised by Chinese physicians for thousands of years. The lasting allure of Pearl is in its ability to clarify skin, calm nerves, improve vision and promote youthful radiance. Its key ingredient is Conchiolin, a rich matrix of organic substances with 18 amino acids to help rebuild and rejuvenate skin from within. - Detoxifies and clarifies skin. - Reduces freckles and pimples. 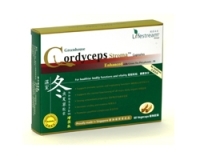 - Calms nerves and stabilises well-being. 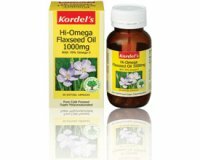 - Relieves skin inflammation and allergies. Each 375mg capsule contains 100% pure medicinal Pearl Powder. 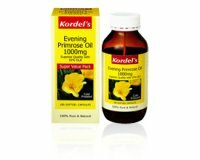 Adults: Take 1 to 2 capsules in the morning before food daily. The contents of half a capsule may be mixed with milk or warm water and consumed once daily. 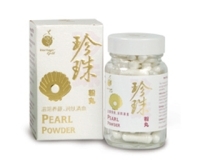 Heritage Pearl Powder is manufactured in Singapore according to stringent cGMP protocols and, is registered and approved by Health Sciences Authority, Singapore.